There have been subjects and points not fully addressed in the following article @ Hoodline regarding SPARC and LOHAMNA. Here are some points to clarify questions that neighbors and the community at large may have. Why did LOHAMNA enter into a Memorandum of Understanding(MOU) with SPARC? In January of 2016 LoHaMNA entered into an MOU with SPARC after it was determined that SPARC was legally grandfathered in regarding zoning and that there was existing public support for SPARC operation found from two public meetings. It was determined that, as a Board, it would be better to establish guidelines for the new operator to best serve the neighborhood. The fact that SPARC had legal right to move in was confirmed by information given to us by Vallie Brown, former aide to Supervisor Breed’s as well as information from the Planning Department. It was recommended by Supervisor Breed’s office that LoHaMNA enter into an MOU to set guidelines that would ensure best operation of the business to address concerns. These guidelines include provisions to ensure onsite security, hours of operations, and requests to not allow vaporization on site by customers, as well as stipulations to ensure immediate membership denial of customers who resold or redistributed medical marijuana as well as requests to ensure limits of double parking as well as other stipulations. Devon Chulick LoHaMNA President of the time (and Owner of D-Structure on 500 Block of Haight), and the entire LoHaMNA board issued the letter of support. LoHaMNA’s goal was to incorporate feedback from neighborhood and implement guidelines for operation. Scott Sanchez, the Zoning Administrator provided via email information to LoHaMNA as well to Matt Osbourne and Brian Brooks (members of Safer Lower Haight) regarding the legal right of a new MCD opening at 473 Haight Street, quote: “Under the City’s Charter, the Planning Commission’s Discretionary Review authority is limited to actions on specific permits, it cannot be requested on the zoning of a property. In this case, the only permit that is required is for the interior/exterior tenant improvements (this is the subject of the DR hearing on August 4th). For the land use, the Planning Commission has already exercised their Discretionary Review authority (in 2006, when they approved the use). The only way to change the zoning of a property is through the legislative process. What public outreach did LoHaMNA gather from the neighborhood regarding SPARC? Upon learning that SPARC signed a lease with the building landlord, LoHaMNA approached SPARC to learn about SPARC’s intentions and goals for the location. In order to ensure neighborhood voices were heard LoHaMNA requested that SPARC organize two public events at Two Jack’s Nik’s Place scheduled on November 2015 and December 2015 with outreach for said meetings done via flyers, feature articles on Hoodline and notices on Facebook posted. According to the SF Planning Code these public events were not required, however LoHaMNA believed it prudent to gauge public input to ensure that operator met with new neighbors etc. The majority of attendees at these public events were in support of SPARC opening in the neighborhood and a few members were against. The new loudest voices against SPARC claim they did not get the flyers or announcements, however three of the five loudest anti-Sparc voices from the 400 block commercial side were at these events. Anti-Sparc neighbors were asked to produce signatures or more notes of concern on several instances but nothing was forthcoming until April 2016. 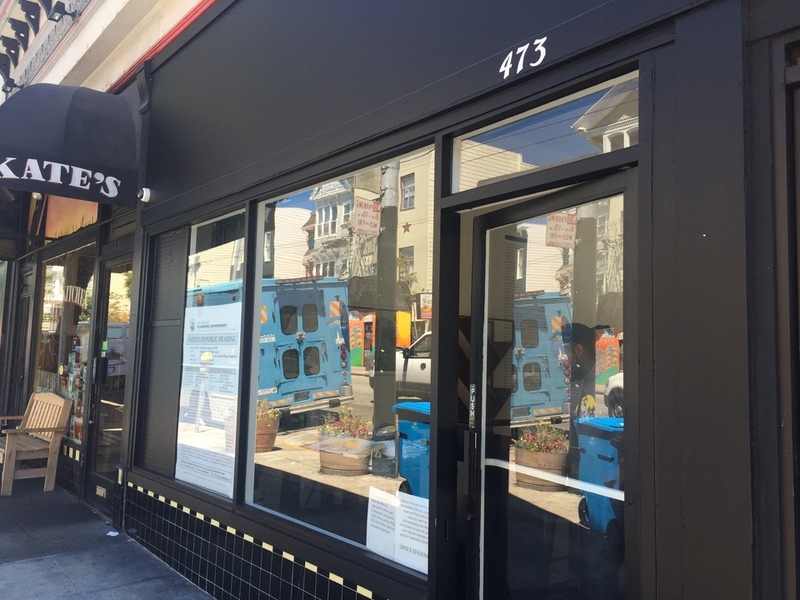 LoHaMNA has also met repeatedly outside of formal meetings with anti and pro SPARC neighbors to further understand the neighborhood concerns and to gather input from merchants and residents throughout the Lower Haight. What neighborhood feedback did LoHaMNA receive regarding SPARC? Patients’ Access SPARC provides local avenue for medical marijuana access for patient population. Currently there are no MCDs active in the Lower Haight. Legal Market Competition Legal cannabis dispensary competes against non licensed dealers resulting in safer usage by legal populations. Vapor Room Experience Neighbors argued that retail traffic and sales were stronger when Vapor Room was open in the 600 block. School Radius Proximity 600 or so feet from John Muir. Current planning code requests 1000 ft. Grandfathered in. Neighborhood Reputation Argument that dispensary leads to “negative” image for some residents. Effect on Crime SPARCs potential contribution to crime is unclear. Several studies reflect reduction in crime near MCDs however some neighbors continue to argue that the 400 Block of Haight is different and that the neighborhood will have negative crime outcomes from gang and MCD interactions. Journal of Studies on Alcohol and Drugs, 73, 523-530. Conclusions: Consistent with previous work, variables measuring routine activities at the ecological level were related to crime. There were no observed cross-sectional associations between the density of medical marijuana dispensaries and either violent or property crime rates in this study. These results suggest that the density of medical marijuana dispensaries may not be associated with crime rates or that other factors, such as measures dispensaries take to reduce crime (i.e., doormen, video cameras), may increase guardianship such that it deters possible motivated offenders. Is the MOU available to read? SPARC offered a $500 monthly contribution for two years to LoHaMNA to help fund projects like the Lower Haight Art Walk, Lower Haight Pink Bunny Bronze Statue, combating trash issues in LH, and future walk stop projects. To date LoHaMNA has not accepted any contributions from SPARC. No board members have received payment from SPARC nor are they affiliated with SPARC in any way, nor will any Board members receive payment from SPARC. What is LoHaMNA’s Legal Status? LoHaMNA is an all volunteer neighborhood association made up of residents and commercial business owners from the Lower Haight. Since early 2016 LoHaMNA has taken efforts to formalize the board structure, build strategies for working with the neighborhood and establish regular meetings. LoHaMNA is currently an Unincorporated Association and in the process of filing 501c3 status paperwork. Where is the next opportunity for the neighborhood to give input in this and other matters? 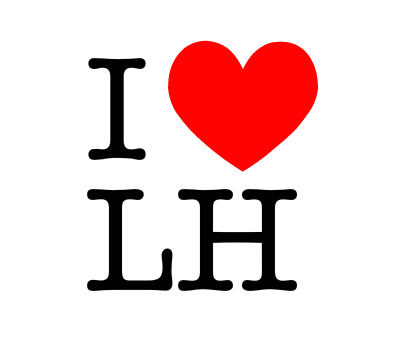 LoHaMNA’s next monthly is scheduled at Black Sands 701 Haight @ 6:30pm – 8:30 p.m. on August 8th. SPARC will be one of the topics of discussion to start at 7:40 p.m. We invite members of the community to attend.